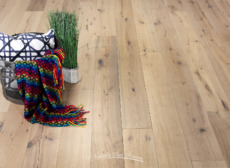 These days, beige or "blonde" hardwood flooring can seem pretty common, but Santee is nothing like the typical teak, bamboo, or cork flooring that floods the market. The widespread knots, transitional fill, and wire-brushed finish allows Santee to be the ideal flooring under any lighting condition. 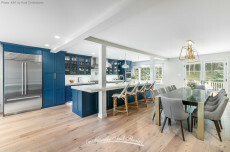 Rise above the ordinary with an engineered hardwood floor that delivers the perfect platform to contrast even the largest open concept living space. 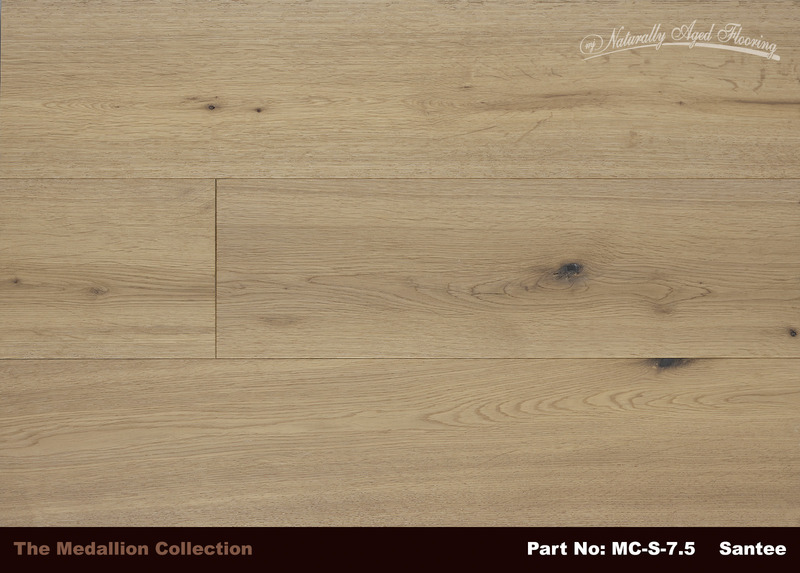 Nature plays a major role in the development of Santee's looks and one can readily recognize the character of the white oak wood that gives life to this flooring. Amidst the random knots and the light to medium color variations, Santee transforms any room into a rustic piece of art. With white oak's average life span of 300 years, you can expect life-long toughness and durability from this engineered floor, also backed by Naturally Aged Flooring's Lifetime Limited Warranty. 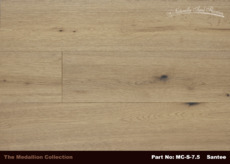 Widely respected among the flooring industry, Naturally Aged Flooring has spent the last 40 years acquiring knowledge and developing products that look great and last. One thing sets Santee apart from the competition is that with the proper care, very little maintenance is required. Our UV lacquer finish provides a durable platform. The headache of having to oil your floor is a thing of the past and with Santee, it will be love at first sight. This beautifully characterized wire-brushed flooring creates a warm environment in any home. Floated, nailed down, glued, or even as a wall application, expect nothing less than perfection from this engineered hardwood flooring the next time you walk through your door.